The fifth annual FreshTracks Road Pitch will be held July 30 through August 2. 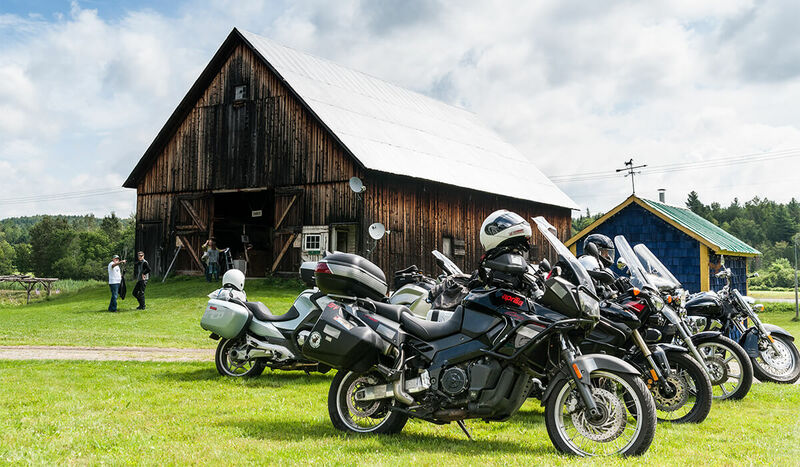 Road Pitch is a four-day motorcycle tour of Vermont in which “business bikers” comprised of investors, entrepreneurs and business advisors stop in eight Vermont towns to listen to entrepreneurs pitch their business ideas. Entrepreneurs interested in pitching their concepts or existing businesses to the riders should contact one or more of the local organizers to apply for a pitch slot. At each of the eight stops, the riders will award a “Riders Choice Prize” of $500 and a special edition “Vermont Biker Bear” contributed by Vermont Teddy Bear. Each stop is open to public viewing. A final statewide “Pitch-Off” event will be held at Champlain College on October 17. The top Road Pitch participants from around the state will be invited to pitch for a grand prize of $5,000 and a year of business mentoring from the Road Pitch riders. Road Pitch helps connect Vermont entrepreneurs to resources such as capital and advice, and helps entrepreneurs polish and refine their pitching skills. The statewide event also helps communities build stronger entrepreneurial ecosystems, and showcases entrepreneurs and business opportunities to potential private investors, while promoting motorcycle touring and rider safety. For information about Road Pitch, the riders, as well as valuable pitching tips, visit www.roadpitch.co.